Did you miss the Get in Rhythm. Stay in Rhythm. Atrial Fibrillation Patient Conference? Home | Afib News & Events | Did you miss the Get in Rhythm. Stay in Rhythm.™ Atrial Fibrillation Patient Conference? The Afib Patient Conference is over … but you can still see it. Summary: Purchase the livestream replays of the entire 2017 Get in Rhythm. Stay in Rhythm.™ Atrial Fibrillation Patient Conference to transform your life. The 2017 Get in Rhythm. Stay in Rhythm.™ Atrial Fibrillation Patient Conference is officially in the books, and it was a resounding success! So much so that we want to make sure you have every opportunity to hear the important, up-to-the-minute information our all-star roster of afib experts shared during the three-day conference. That's why, for a limited time, we're offering you the chance to purchase access to the recordings of the livestream. This means you get 15 hours of content without having to leave your home! Plus, when you invest by August 31, you can take advantage of our special two-payment plan. View The Afib Conference In Its Entirety, From Your Home. You may be wondering just how valuable this information really is. “I had already spent two-plus years in intense afib research, but the conference pulled it all together for me quickly. The Get in Rhythm. Stay in Rhythm.™ Conference is an incredible resource for afib patients, one I hope will continue indefinitely. I am deeply grateful for my successful procedure, and deeply grateful our paths crossed." Michaela found the 2016 conference so helpful that she attended again this year. She said the conference "provides hope, hope for the good ol' days, NSR (Normal Sinus Rhythm), hope for a full recovery. I remember well the ups and downs, the peaks and valleys of my afib days. [We attended this year because] we just wanted to have a celebratory reunion. And, we learned so much more and at a totally different level than in 2016. Great conference. That makes two in a row for me!" Get Life-Changing Information And Up-To-The-Minute Research. 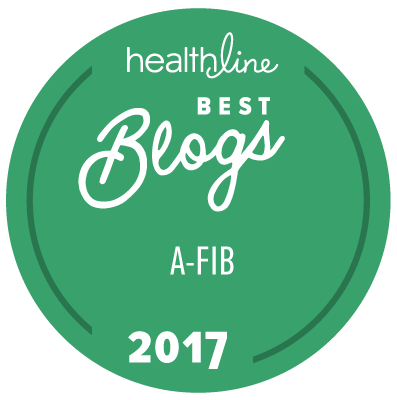 This information has the potential to change the way you live with afib, and we don't want you to miss it! What doctors and researchers shared at the conference can transform your life. Get Expert Information Designed Specifically For Patients.